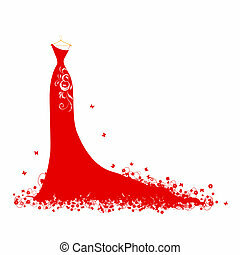 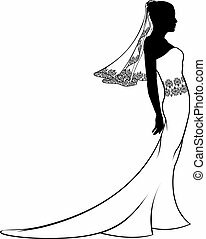 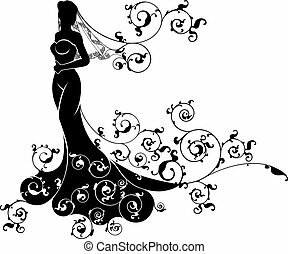 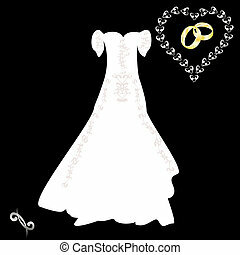 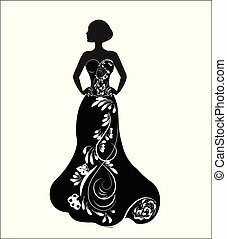 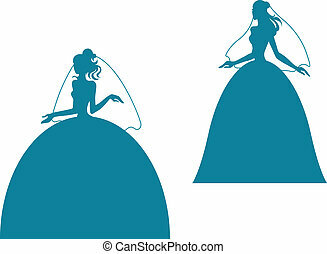 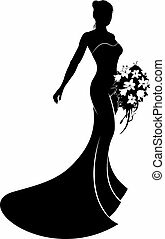 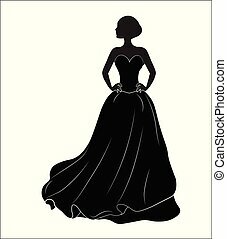 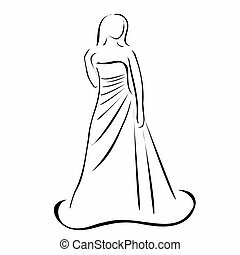 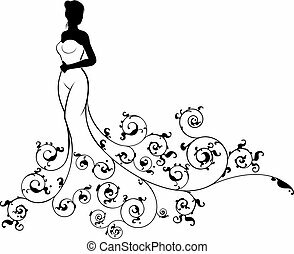 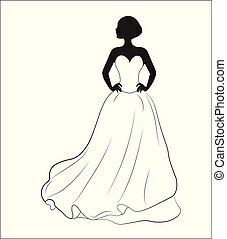 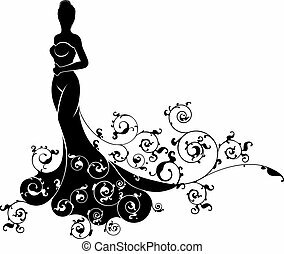 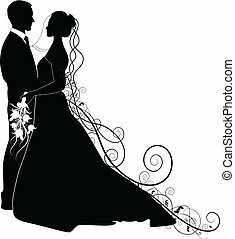 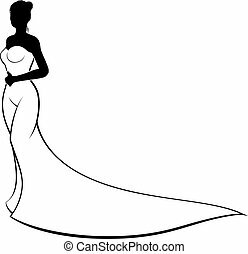 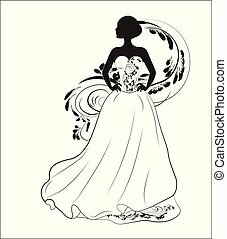 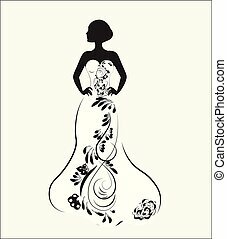 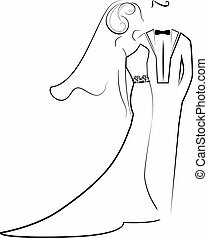 Bride in wedding dress silhouette with pattern on lace veil and dress. 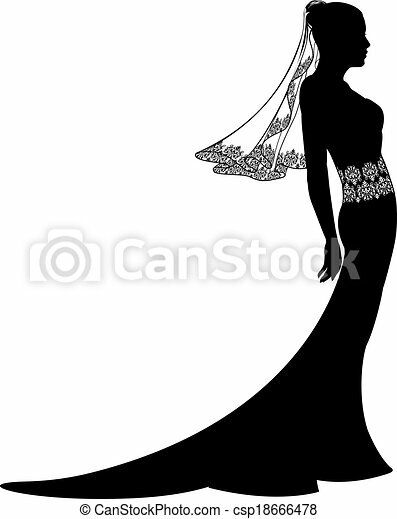 Illustration of a young elegant bride holding flowers. 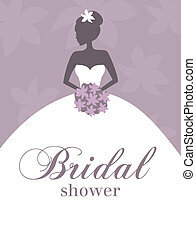 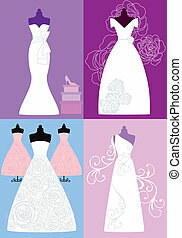 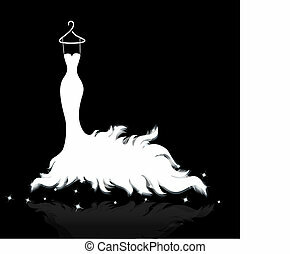 Perfect for bridal shower/wedding invitation.